A good marketing campaign can take a company to the next level. If a marketing campaign goes viral globally, it could mean that the brand becomes a household name worldwide. Marketing campaigns are made to stand out, they are made to be memorable. However, sometimes marketing can go wrong and companies find themselves being remembered for all the wrong reasons. A controversial marketing campaign can sometimes break a company and leave it having to redeem itself in the public eye. On the other hand, a controversial marketing campaign can sometimes lead a company to brand new heights of popularity because its campaign was so outside the box. Unfortunately, it is all about taking risks and not knowing whether the risk will pay off when it comes to going with a controversial marketing campaign. Below are some of the most controversial marketing campaigns and an insight into whether they paid off or not. Get Unhooked was a controversial marketing campaign from the Department of Health to try a kick start people into giving up smoking. The campaign saw people with fishing hooks in their mouths to illustrate how they were hooked on smoking. The campaign itself was met with multiple complaints from all over the country, but the Department of Health reported that it was in fact “highly effective”. The man himself. He went from being a billion dollar businessman who was on the TV, to the president of the United States. Throughout his bid to become the president, Trump was extreme, he was openly racist, misogynistic and swore on record. This behaviour was found to be successful as his supporters often stated that they liked him because he was “real”. Throughout his campaign he used the phrase “Make America Great Again” and it became a slogan that is recognised worldwide, but Trump never really said how he was going to make America great again. Nonetheless he won, proving that sometimes controversial marketing does pay off. Advertisements are often used to raise awareness of social and environmental issues, and a lot of the time these kind of adverts use shock tactics in order to resonate with its audience. 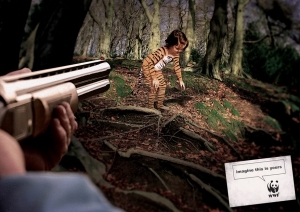 This advert from the WWF found itself to be a talking point as the use of a child apparently about to be hunted down, caused a lot of controversy. The tag line “imagine this is yours” seemingly upset many people at the thought of their child being hunted, which in turn is exactly what WWF set out to do. This advert proved to be incredibly troublesome. The ad features two women snorting an item of clothing, yet it is suggested to be drugs, with the use of the word “junkie” in the campaign tagline. The campaign was controversial as it appeared to glamourise drugs as something fashionable. The advert itself was eventually banned for this reason. However, the advert still managed to gain a lot of attention before it was pulled.  If you think that a career in marketing is for you, then you can study a Marketing course at CU Coventry, CU Scarborough or CU London. Courses are available at Foundation, HNC, HND and Degree level.